I know Panache and Miss Kitty are working away on their Christmas lists, but sometimes you just can’t wait that long! P is for Peloton: The A-Z of Cycling is a case in point. Lovingly crafted by journalist Suze Clemitson and beautifully illustrated by Mark Fairhurst, this is a “must have” reference book for fans (and would-be fans) of the sport. Download this pdf for a gander through some of its contents. Newcomers to the sport can fast-track their way to greater cycling knowledge with this book, and even the most knowledgeable will surely learn something – but whatever your level, the pictures alone are worth the cover price. 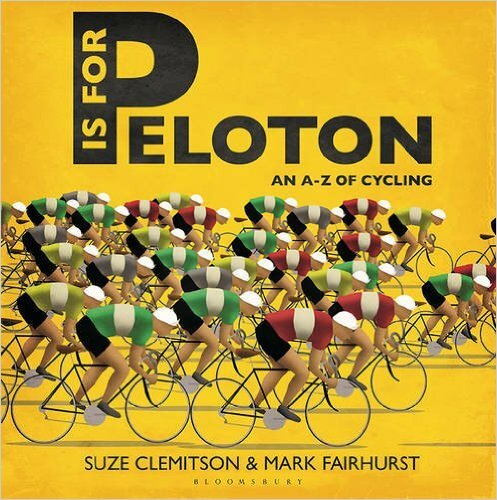 P is for Peloton is available now from Bloomsbury Sport, Amazon, and all good bookshops. (RRP £12.99).